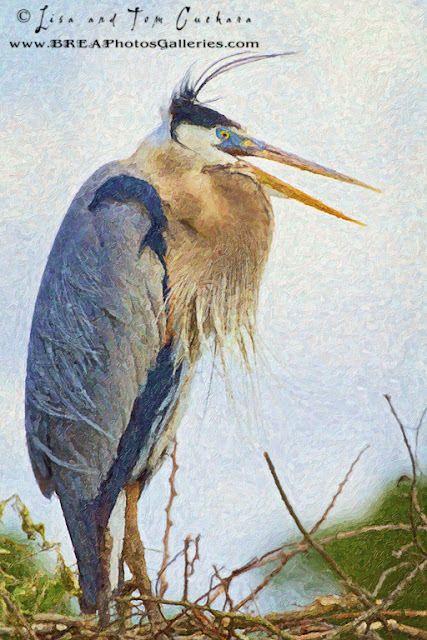 I took hundreds of photographs of this Great Blue Heron at Wakodahatchee. The lighting and the blue pastel sky near sunset just urged me to process one artistically. I love the way the wind was blowing his feathers and plume.